They say there’s no such thing as a bad bike any more, but then if you’ve had even a cursory glance at the prices of bikes these days (with £3k often described as “budget”) you’d bloody hope there aren’t any total lemons. What there are – in my extensive bike-swapping experience – are excellent bikes, good bikes and average bikes that have notable flaws. My previous long-travel 29er, the Mega 290, fitted into either the “good” or “average-with-flaws” category depending on what your priorities are. It had superb geometry, was keenly priced and – with the addition of a coil shock – could go fast downhill. I really love the grey-and-blue colour combo – as well as the frame’s lines. But the flaw that irritated me more and more over time was it’s sluggish pedaling manners. I could tune this out to some extent by winding a bit more compression on the shock, but then the harsh feedback through the frame increased to the point where the bike felt unstable. Why am I going on so much about the Mega so much in a review of a totally different bike? Because I’ve come to appreciate that we never judge a bike in objective isolation, our perceptions and experience are moulded by the last bikes we’ve been riding and the benchmarks they’ve set for us. As it happens the Orange Stage 6 has very, very similar geometry to the Mega 290. I think there’s a few mil difference on the chainstays and half a degree at the head angle – though I was running an offset bushing on the Mega anyway. Both bikes are made from aluminium, with the Orange being a bit lighter and having about 14 fewer frame bearings thanks to the brand’s trademark single-pivot suspension layout. As on the Mega, I’ve sized-up to a large (I’m 5ft 7in-and-half) as the 18” seat tube still allows me to run a 170mm dropper, and the 462mm reach and 450mm chainstays feel very well balanced to me, with a 65.5deg head angle in the right ballpark too (though I may try an offset bushing or two). I’ve actually got the Stage 6 built with most of the same parts as the Mega as well; 160mm Lyrik fork with Luftkappe, XT mech and shifter with 11 speed GX cassette, Zee brakes, Hope 35mm-long stem and Superstar 780mm carbon bar. The differences are the rear wheel, chainset and dropper post – which are all similar items anyway. In the wild at Grizedale. So it’s quite amazing how very different the two machines feel when riding. 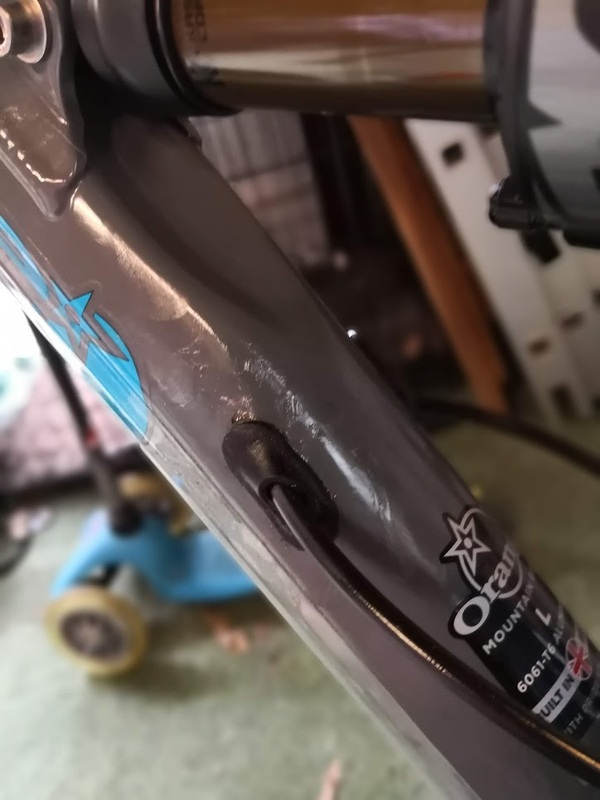 I’ve used the same Fox Float X2 shock that I had on the Mega before going to coil – and it suits the S6 much better than it did the Nukeproof. 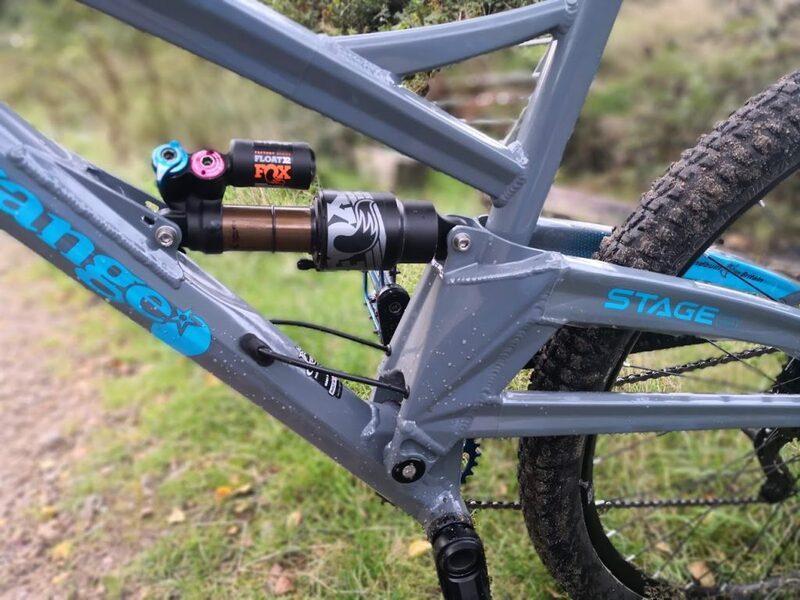 The rear suspension (with the maximum four bands fitted and settings lifted from the Enduro Mag review) feels very supportive and exceptionally perky. Good frame stiffness, very competitive weight and what I assume is a good dose of anti-squat in the suspension combine to give the S6 an incredible turn of speed. 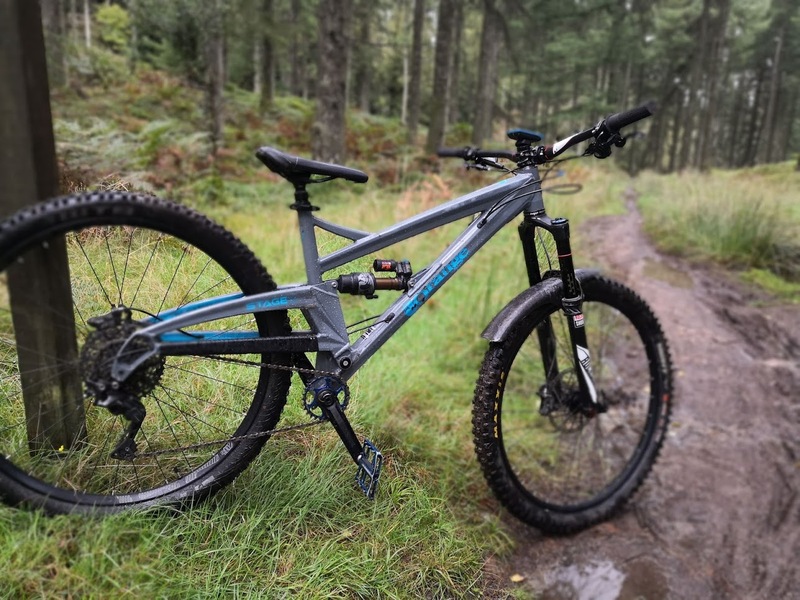 It climbs as well as any enduro bike I’ve ridden, better than the vast majority of them, and the swingarm tracks the ground well on technical ascents – providing great feedback on tracrtion levels through the pedals. Climbing is a big thing for me – as I like to do big rides in the hills – but just as important is how involving and fun a bike feels on the flat, and this is where a lot of longer-travel bikes come unstuck. The Stage 6 is a breath of fresh air next to some of those wallowy barges though, offering a firm platform to pedal and pump against – making it feel like a shorter-travel, lighter machine than it really is. In other words, it has plenty of “pop”. It can be moved around the trail intuitively, hopping quickly from one line to another in a way that’s unthinkable on some of the more “planted” enduro bikes. So is there a downside to this very sporty ride feel when it comes to the descents? Again that probably depends on personal preference. 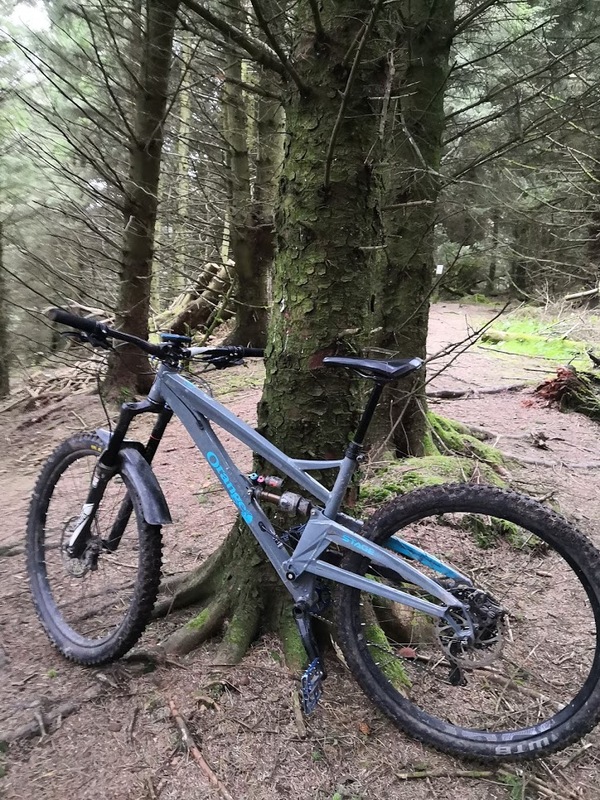 I’ve taken advantage of a week off work to ride the S6 on my local trails at Rivington, in the Peak District, at Grizedale, at “Bike Park Dent” in the slop and at Setmurthy’s excellent trails already – so I think I’ve got a pretty good handle on how it performs on a variety of terrain. The Fox X2 suits it very well indeed. Firstly, I was expecting a certain degree of harshness from the ride – having seen this mentioned in reviews – but I’ve been very pleasantly surprised that it’s not really been noticeable so far. As a benchmark, last time I rode “The Beast” by Ladybower on the Mega I needed to stop halfway down because of uncomfortable feedback through the frame, but last weekend I rode the S6 top-to-bottom with no issues (as you’d hope!). There’s certainly more communication from the rear wheel than I’m used to, I can feel more of what’s happening under the tyre – whether that’s bumps being efficiently eaten up or the level of traction available. But the long swingarm and the X2 shock do an excellent job of filtering out the harsh frequencies and maintaining composure at all times. Yes the frame is stiff, but I think Orange have got the feel just right and I’ve not had a battering from it at all. 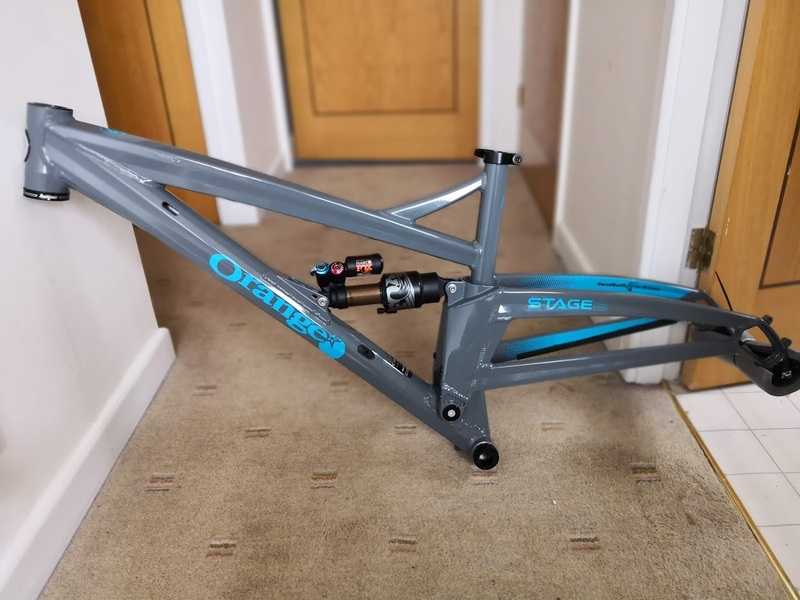 One thing worth mentioning is that Dirt’s very good reviews now seem to – quite astutely – pick up on the level of rider fatigue a frame induces in the same way that Steve Jones used to go on about frame reach (until we all agreed with him). I noticed that the build of their review Stage 6 included a set of deep-section carbon wheels, which will very likely have increased overall bike stiffness. My build has mid-range aluminium 30mm internal rims, and I strongly suspect that the increased compliance compared to carbon hoops is a positive for the Stage 6. I’ve found the same thing with road bikes actually, harsh frames work best with smoother wheels and stiff wheels can pep up a more vague-feeling frame – but stiff frames and stiff wheels can be a tiring experience. Anyway, back to the descending stuff – and the S6 carries over that “sporty” feel I mentioned before. On rugged trails I’ve felt like it’s givoing me just the amount of suspension I need, dealing with lumps and bumps quickly and staying composed and ready for the next impact. Insert your own “big grey gate” joke here. There’s no wait for the bike to settle itself after jumps, drops or rock gardens – you can get straight back on the gas. Does it suffer from the “brake jack” that the internet warriors warn you against? Possibly but if so it must be quite mild, because I can’t really tell. Though I must add that I’ve ridden a few steep sections but not tackled any sustained, lumpy steepness on it yet. The Stage 6 loved the flowy, techy trails at Setmurthy Woods. Some big-wheeled bikes feel slow but are actually fast, the S6 feels fast and is actually very fast. Quite possibly the fastest bike I’ve ridden for proper mountain terrain. It’s probably not a bike for everyone, but I can see it suiting a few distinct types of rider. One, it would make a fearsome enduro race bike – with big time to be gained on the flatter bits and great composure on the technical sections. 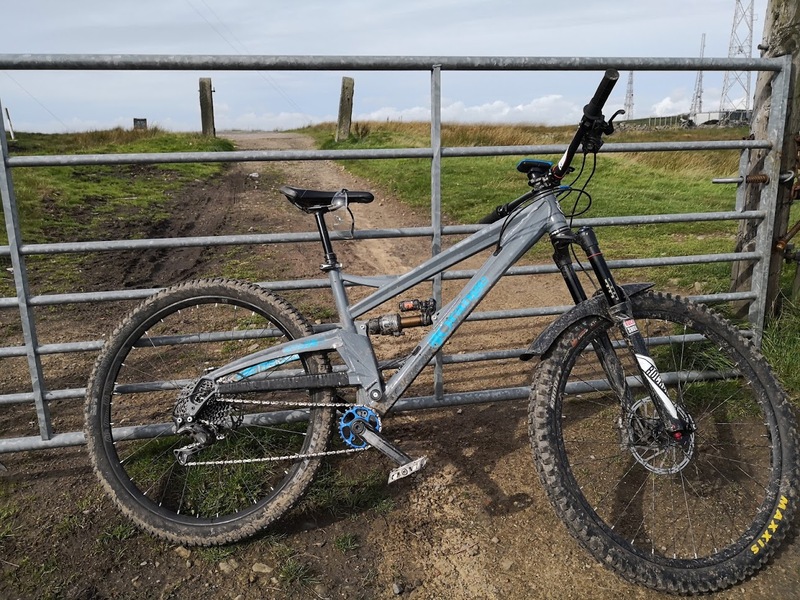 Two, experienced MTBers who like to get out in the hills in all weathers will love the efficiency, the simplicity and it’s intuitive ride feel. It really does munch the miles and vertical metres, leaving your legs feeling fresher than you’d expect. Three, riders who want a long-travel bike for trips away but may be limited to tamer trails at home will really appreciate the same pedal efficiency and won’t feel as “over-biked” as they would on some enduro sleds. So this is a pretty glowing review, right? It clearly falls into the “excellent bikes” category, but aren’t there any downsides? Well the build process took much longer than normal due to the amount of internal cable routing – and even with Park’s special toolkit this was a time-consuming and awkward job (especially the tight turn at the BB for the seatpost cable). Inserting these rubber grommets was a horrible job. My preference is definitely for full external routing, but I have to admit that once finished the result is quite neat. The cable exit points eliminate the potential for cable rub and it’s all very well thought out. I just don’t want to have to do it again anytime soon – and I hope I don’t need to do an emergency rear brake swapover. Erm, I did snap a gear cable, so that’s something to keep an eye on – but I’m stumped for any other “cons” at the moment. Some people still claim Oranges look clunky and old-fashioned, though personally I think the S6 is the best-looking bike I’ve owned. I love the fluted tubes and it’s clear where the not-insubstantial price tag is going when you look at the complexity of the metalwork. Anyway, I’ll do a longer-term review next year which should catch anything that emrges with more use – and I’ll try to get up to the Golfie or similar for more trail variety. Hi Mike, actually I find it just right with no spacers beneath the stem and a 25mm rise bar. And I prefer my bar a bit lower than seems to be the fashion now. I keep thinking maybe I should try the bar higher like everyone’s doing, but it just feels awkward climbing. It’s such a fast and versatile bike, eh David? Since writing this I did notice it was skittish over extended rock gardens and stuff, and not just when on the brakes. I think I need to tinker with the air shock set-up but have put a coil shock on now and it feels a lot better for me. What shock are you using and how is it?